Beyonce and them have come and gone back to their high life in the USA or wherever. And somewhere in the former Transkei a few wreaths on a freshly dug grave is all what remains of the memory of a young black man who fell to his death preparing the stage for the Global Citizen 100 festival at the FNB stadium two weeks ago. 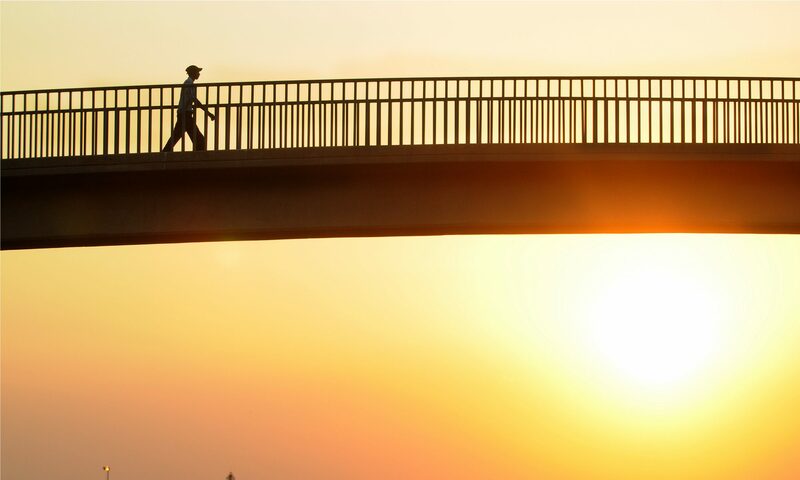 Siyabonga Ngonze was a rigger working on behalf of a production partner for the festival Gearhouse SA when he suffered fatal injuries arising from a fall at the site. Fondly known as Siya, he was to laid to rest in his hometown of Gquwa, otherwise known as Butterworth in the eastern Cape on Saturday. Though details are still sketchy, black industry players opine that when word got out that a rigger had fallen to his death, it was a foregone conclusion that he had to be black. “No white technician goes up to rig the lights. “They only give instructions from the bottom. Global Citizen’s director of public relations Andrew Kirk said they were advised that the rigger was experienced and that he was wearing all appropriate safety gear and equipment when he fell. Kirk however, did not respond to questions from Abephenyi on alleged racism in the industry. Gearhouse SA says in its 25 years of operations this incident has been the only fatality. Lack of transformation, says Freddie Nyathela the president of South African Roadies Association, SARA, is to blame for the death of Siya. The last word from Global Citizen was that the circumstances surrounding the incident are being investigated in partnership with all of the relevant local and government authorities. Of concern is that there was hardly a murmur from “relevant authorities” particularly both the department of labour and the Dti (trade and industry) about the tragic death of Siya. “Nobody, including the government cares. “In this industry there are no regulations, no standards, nothing. “Everybody does as they please,” says Nyathela. You might be tempted to think the Global Citizen 100 Mandela gig was jinxed because a second person sustained an ankle injury while equipment was being taken down on Monday. Lebogang Mogorosi was taken to the Milpark Hospital where he was admitted and later discharged. The incident happened when a speaker box on a forklift started to vibrate during transit. “The speaker was already falling and hit his ankle as he stepped forward,’ said Gearhouse SA national maketing manager Robyn D’Alessandro. As if it were not enough, another person lost his finger during the transit. Gearhouse SA had been on pianissimo about the latter incident. “Could it be a coincidence that all three casualties are black,’ asks Nyathela. Equally scathing about the industry is Skhumbuzo Sibanda, a veteran technician doing lighting, who says blacks are still treated shabbily. ‘Some of the crew companies pick up people from the streets to be box pushers without any training. Problem is that most of the blacks are scared of voicing out their concerns lest they be snubbed of job offers,” he said. There’s been initiatives to transform the industry but it would seem the relevant authorities are turning a blind eye or do not seem to have the desired appetite to effect legislative changes. Equally worrying is that while government is talking about support for new industries such as the digital economy and the fourth industrial revolution, it completely disregards the live event technical and production sector. The Dti is still to finalize the Sector codes of the Live Event Technical and Production Sector. 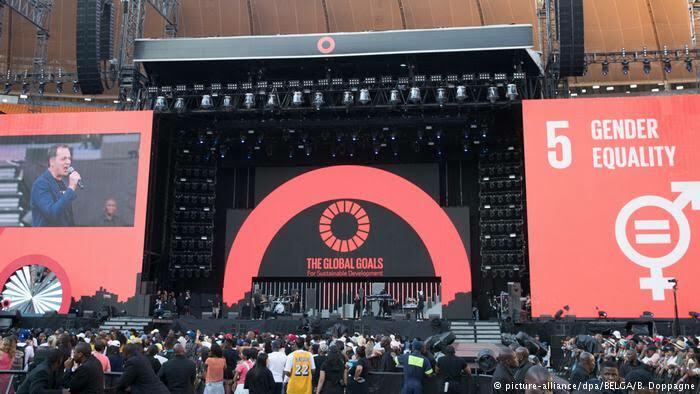 The Global Citizen 100 Mandela concert was presented by major partner the Motsepe Foundation, with major partners, House of Mandela, Johnson & Johnson, Cisco, Nedbank, Vodacom, Big Concerts, Bill & Melinda Gates Foundation Goalkeepers, Eldridge Industries and Associate Partner. Headlined by husband and duo in Beyonce and Jay-Z, the concert featured an array of local and international stars such as Cassper Nyovest, D’banj, Ed Sheeran, Femi Kuti, Sho Madjozi, Usher etc. Also present were several heads of state and other world corporate leaders in support of the organizers Be the Generation campaign inspired by former leader of South Africa Nelson Mandela to end extreme poverty. The Motsepe Foundation announced a series of commitments worth over USD$104.4 million chiefly to advance education, economic inclusion and equality of women and girls. Not to be outdone, president Cyril Ramaphosa also committed R2-million for youth in South Africa and also announced government’s intention to spend R6-billion to provide free access to school for poor children in Mzansi. As things stand, black industry players are praying the fall to death of Siya Ngonze will be a serious wake-up call to the industry and also accelerate the abrupt end to what is seen as a perpetuation of the pre-1994 agenda – contrary to the values of Nelson Mandela. Abaphenyi Media Group is a 100 percent black-owned media house specializing in investigative journalism. Abaphenyi is an isiZulu word for digging out hidden dirt, which is what the media group intends to do.